‘We consider it appropriate that these matters be referred to the Hon'ble the Chief Justice to constitute an appropriate Bench and to see whether we can proceed with the hearing or not.’, said Justice Arun Mishra's bench. "Having regard to the nature of the issues involved in the matter, the issues need to be resolved by a larger Bench at the earliest",said Justice AK Goel's bench. On February 8, 2018 a three Judge Bench comprising Justices Arun Mishra, AK Goel and Mohan M Shantan Gowder by a 2:1 majority declared that Pune Municipal Corporation & Anr. v. Harakchand Misirimal Solanki, 2014 (3) SCC 183, is per incuriam. In a latest development, Justice Arun Mishra who had headed the 3 judge bench that held the decision in ‘Pune Municipality case’ as per incuriam, taking note of the recent order by another bench headed by Justice Madan B. Lokur, which virtually stayed the order, has referred the issue to the Chief Justice of India to constitute a larger bench to decide the issue. 'Whether it is judicial indiscipline or not has to be decided by a larger bench', said Justice Mishra while requesting the CJI to constitute another bench to decide whether the verdict on land acquisition matter should be enforced or not. Another bench headed by Justice AK Goel, who was also part of the bench in Indore Development Authority case, have also referred the matter to CJI observing that the ‘issues need to be resolved by a larger Bench at the earliest’. Yesterday, a three judge bench of the Supreme Court headed by Justice Madan B. Lokur, had requested the other SC benches and the High Courts to not to deal with any cases relating to the interpretation of or concerning Section 24 of the Right to Fair Compensation and Transparency in Land Acquisition, Rehabilitation and Resettlement Act, 2013. The said bench had scheduled to hear the issue whether the matter should be referred to larger Bench or not, on March 7th. The bench had also treated the SLP before it as part-heard. 24th January 2014: In Pune Municipal Corporation & Anr. v. Harakchand Misirimal Solanki & Ors., a three Judge bench headed by Justice RM Lodha had held that the acquisition would be deemed to have lapsed and would be covered under the 2013 law entitling the landowners to higher compensation, if compensation. It held that the acquisition would be deemed to have lapsed and would be covered under the 2013 law entitling the landowners to higher compensation, if compensation for land acquired under the 1894 Act has not been paid to the land owner or deposited with a competent court and retained in the treasury. 8th February 2018: In Indore Development Authority Vs. Shailendra (Dead) Through Lrs. 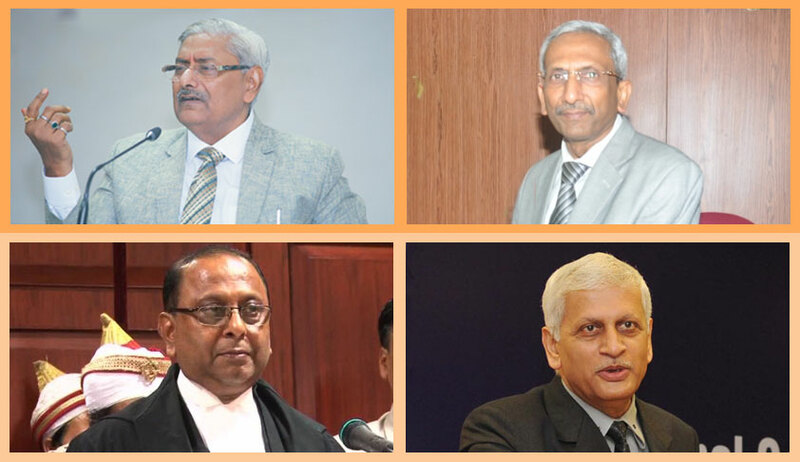 And Ors., another three judge bench headed by Justice Arun Mishra, answered some important questions vis-à-vis old and new land acquisition Acts and observed that to the failure of deposit in court, the only consequence at the most in appropriate cases may be of a higher rate of interest on compensation as envisaged under section 34 of the Act of 1894 and not lapse of acquisition. Although, in his judgment, Justice Mishra quotes contention raised on behalf of the landowners that since the decision of Pune Municipal Corporation is of Three Judges bench then propriety requires that the case should be referred to a Larger Bench, the same issue does not seem sufficiently addressed. The Judgment reads: “With respect to the decision of this court in Pune Municipal corporation (supra) we have given deep thinking whether to refer it to further Larger Bench but it was not considered necessary as we are of the opinion that Pune Municipal Corporation (supra) has to be held per incuriam, inter alia for the following reasons.” But none of the 11 reasons stated thereafter does not seem to really address the issue whether a three judge bench can hold a decision by another 3 judge bench as per incuriam. 21st February 2018: A three judge bench of the Supreme Court headed by Justice Madan B. Lokur, requested the other SC benches and the High Courts to not to deal with any cases relating to the interpretation of or concerning Section 24 of the Land Acquisition Acts.